Happy Friday! 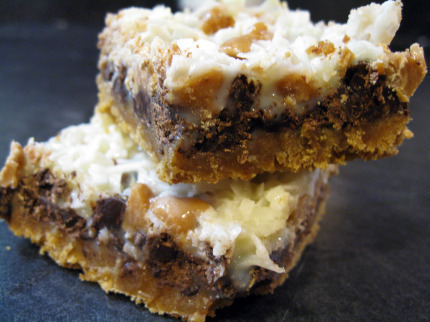 Today, I posted my weekly blog for Flyerland.ca – today’s recipe is for 5-layer magic squares. They are so amazingly rich and delicious, and the ultimate lazygirl recipe (People will think you worked really hard on these, I promise). Check out the recipe here.